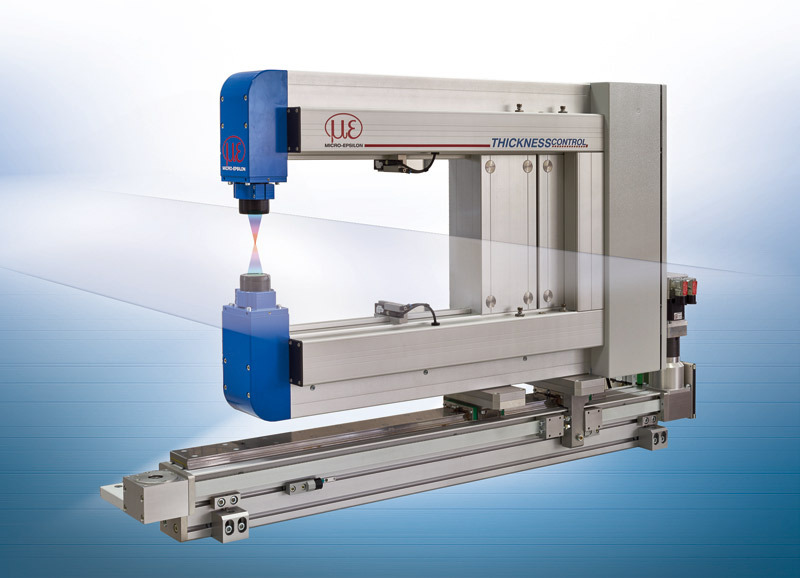 thicknessCONTROL UTS 8X02.K achieves high precision measurements on transparent and semi-transparent materials such as plastic sheets that cannot be guided over a roll, coated glass and metals as well as high-gloss polished metals where previous thickness measurement systems based on laser point, laser line or eddy current sensors are operating at their limits. The exposure time regulation of the integrated, confocal sensors enables reliable measurements even on changing surfaces. 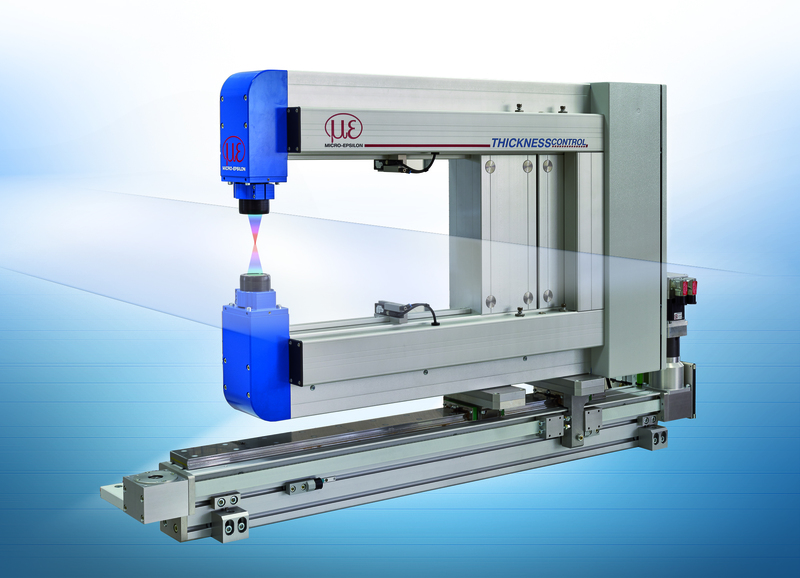 The confocal sensors with multi-peak option enable measurements of objects consisting of several transparent layers. The measurement is carried out on a non-contact basis and is reactionless due to the confocal chromatic measuring principle which enables even sensitive materials to be measured reliably. Calibration and adjustment using opto-electronic tools are carried out before delivery. The integrated calibration target enables readjustment. Furthermore, the measurement system includes a comprehensive software package for analysis, presentation and archiving of monitored production data. It enables different measuring modes such as fixed track thickness measurement at any position, measurement of thickness profile or several longitudinal trends.